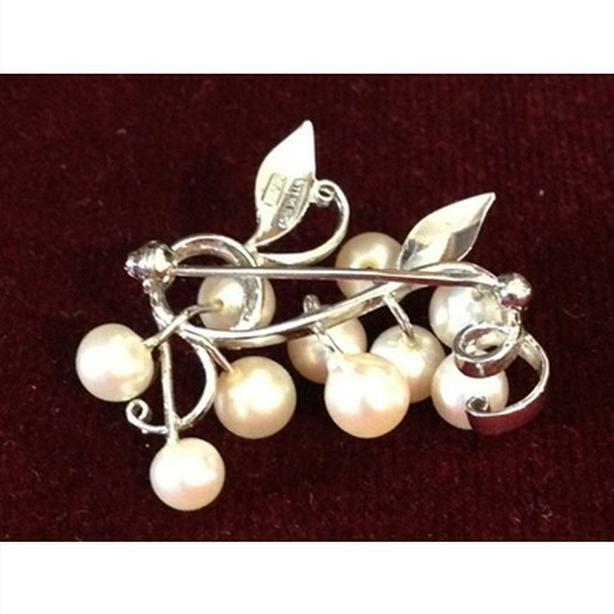 Vintage Birks sterling silver and cultured pearl brooch. From the 1950's. 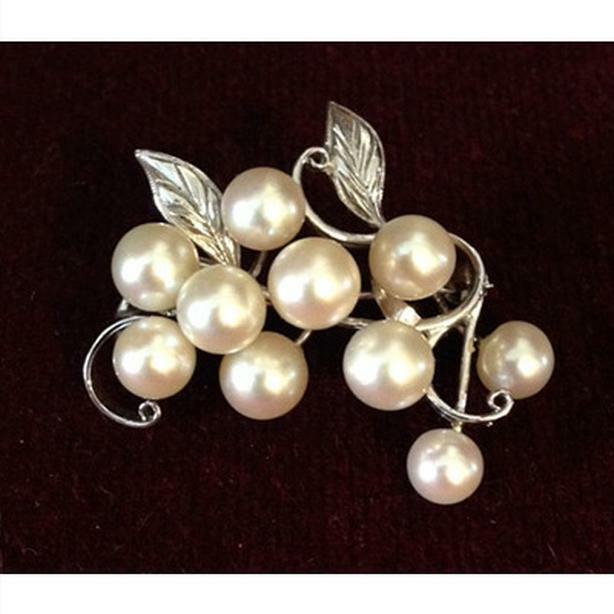 This beautiful pin forms a floral spray of ten pearls in a silver setting of tendrils and leaves. The piece is 1½ inches (4 cm) wide and 1 and 3/8 inches (3.5 cm) deep. 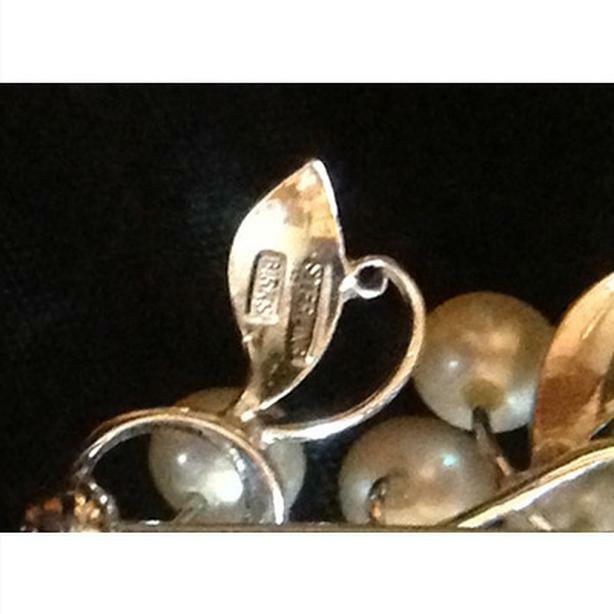 It is hallmarked "Sterling" and "Birks", in block letters, on the back of one of the leaves. 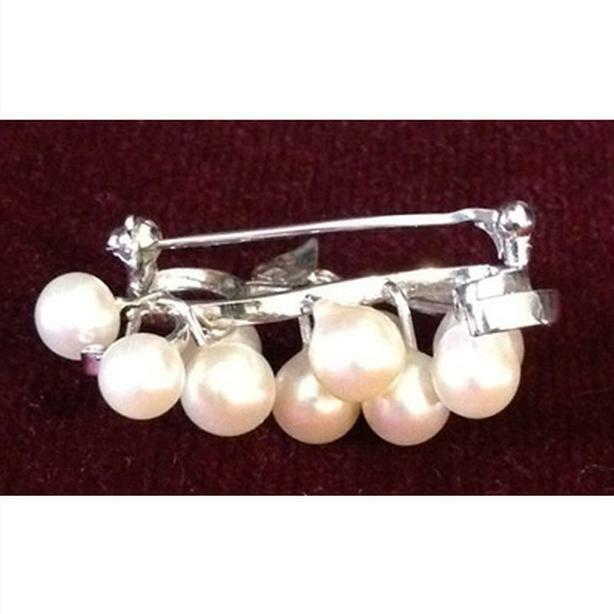 If you are a fan of the Netflix series, "The Crown", or are aware that Megan Markle (the new Duchess of Sussex) wears Birks jewellery, then you will want to own this immaculate piece.